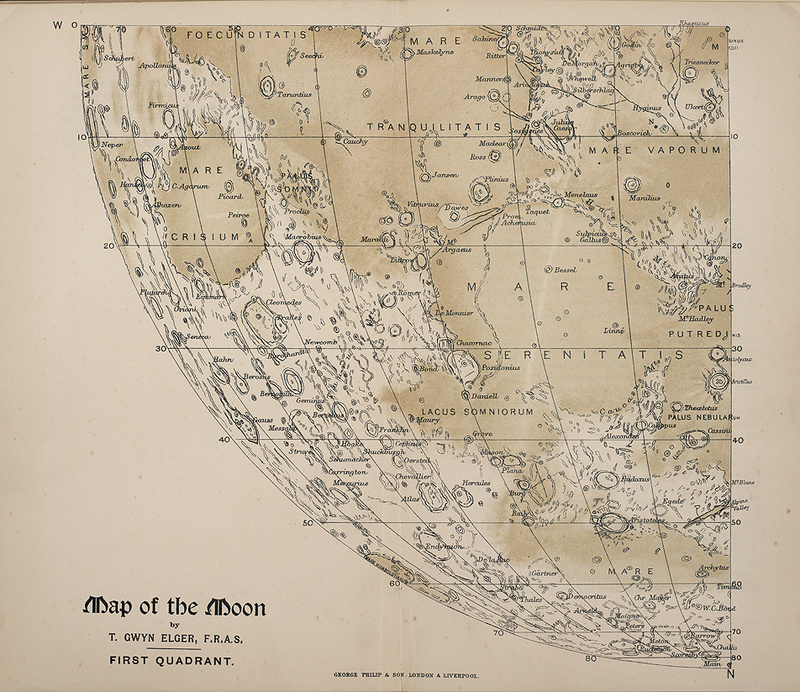 The illustration shows a detail from the first quadrant, including Mare Serenitatis and Mare Vaporum. Two small craters are of special interest: Linn, just below center in the Sea of Serenity, claimed by Schmidt in 1866 to have vanished, and Hyginus N at top right, claimed by Klein ten years later to be newly formed (see item 24). These purported transformations, Elger remarked, were responsible for the great rejuvenation of lunar studies that occurred in the late nineteenth century.